Dorit and Darren are the kindest, sweetest, most adorable couple you have ever met! It’s no wonder that their wedding was so unbelievably perfect. I get sad when clients get married, we do their album and then we have to wait until they pop out a few kids to see them next. But, we are so excited that we are going to see Dorit on a weekly basis when Clara starts “school” this fall where Dorit is also a teacher. (school = mommy and me for and hour and a half each week)! Dorit had an all-star lineup of vendors at her wedding starting with the always lovely Melissa at the incredible The Ebell of Los Angeles. Make sure to check out Melissa’s blog which we love! Hopefully, she’ll put up a few pictures from this wedding. 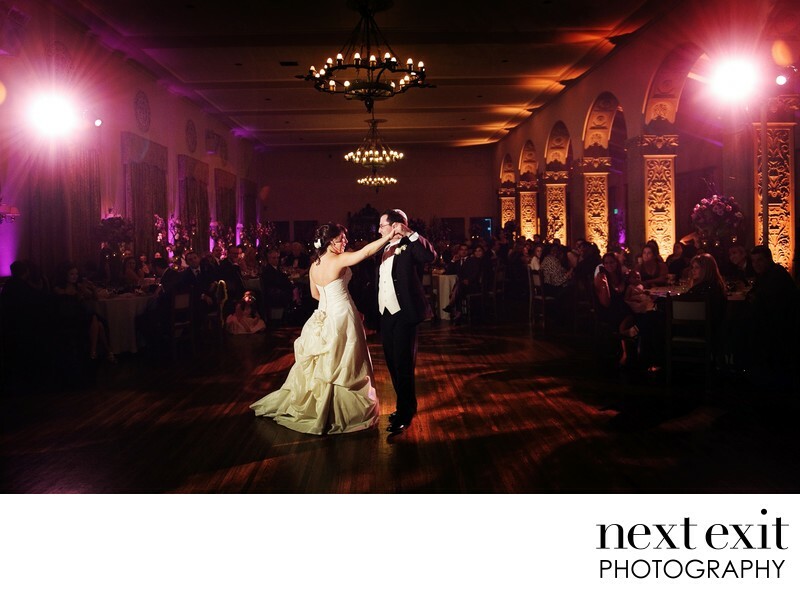 Wedding Photography – Next Exit Photography (that’s us!) – See the last picture of the 4 of us. We were so excited when they asked us to hop into the last photo of the night! Location: 4401 W 8th St, Los Angeles, CA 90005.